Apple Tree's Rochester Program delivers affordable onsite dental care to nursing homes, group homes and community sites throughout southeast Minnesota. Our mobille dental units travel to a community site each day, where our dentists, hygienists, and assistants set up a complete dental office inside the care setting within minutes. We provide exams, check-ups, cleanings, fillings, extractions, denture care, denture repair and oral health screenings to help residents maintain overall health. 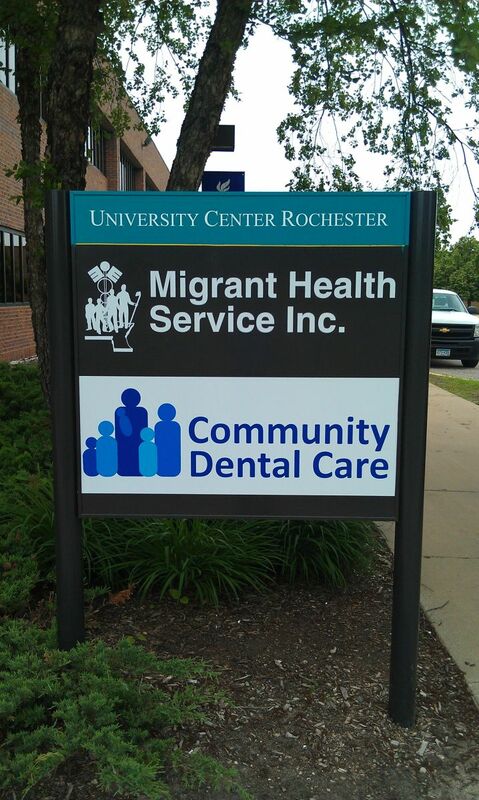 We also offer an outreach dental clinic for people in the Rochester area where we provide a range of dental services to children, adults, and seniors. The outreach clinics are made possible thanks to partnerships with Rochester-area social service agencies. For dates, locatiions and to schedule an appointment, please contact our office. Finding dental costs for procedures is difficult. We created this section so users of our website can see what others have paid for dental treatment at Apple Tree Dental Clinic Rochester. Do you know how much Apple Tree Dental Clinic Rochester charges for services? Attention We cannot guarantee the dental costs to be completely accurate. They are displayed for informational purposes for our users. We have compiled prices provided by users and online research. In order to obtain actual costs please contact Apple Tree Dental Clinic Rochester directly.